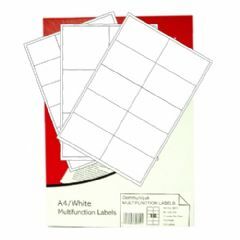 Blank multifunction printer address labels, suitable for copier, laser and inkjet printers - mono and colour. Adhesive backed for simple peel and stick use and both types are a superb all round quality address label and both are Avery equivalent in sizes and codes. 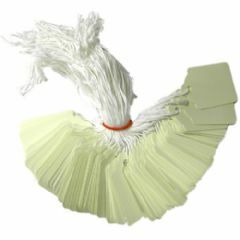 High quality white or brown pre-strung price tags in seven sizes from small 21mm x 13mm jewellery tags to large 120mm x 60mm hardware tags. 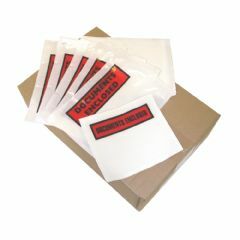 High quality self adhesive labels Supplied on rolls of 500 or 1000 labels. 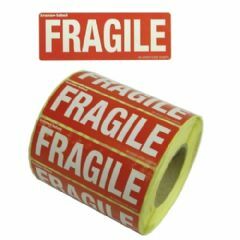 Printed 'FRAGILE', HANDLE WITH CARE' or 'THIS WAY UP' in medium or large sized labels with red text on a white background.